We offer a perfect solution for running competitions and fundraisers by utilising our premium rated short code service. “Text-to win” are an example of a premium rated short code competition. This service allows you to run a competition or fundraiser where you charge mobile users an agreed premium rate (as little as R1 and to a maximum of R30) for sending an SMS to your 5-digit number (e.g. “sms FOOD to 36332 – sms cost R15.00). Own your own short code or share a short code with other organisations. You can earn revenue by running a competition or by receiving donations. Whether your mobile fundraising campaigns are driven by word of mouth, social media or large scale marketing efforts, iWin’s Competition Manager provides cutting edge tools to engage new donors, reconnect with existing ones and increase your fundraising potential! Kindly refer to the table on page two of the attached document to see your estimated revenue share which is paid by the various networks. A dedicated short code means the number belongs to you whereas a shared short code is used by various users but each has got a different keyword. 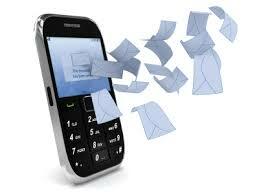 Example: “To donate R10, sms SEE to *****”. • Your estimated revenue share is R 6.90 (see table). Example (competition): “To enter, sms POOLS to *****”. • Your estimated revenue share is R0. 69 (see table). Example: “To subscribe, sms READ to *****”. • Your estimated revenue share is R10. 55 (see table). Please note: Premium rated revenue share only available after 3 months. A percentage of the cost of the sms (e.g. R5.00) is retained by the networks as service provider fees.